Below, please find resources and guidance that we hope will be useful to you and your organization. Please share with your colleagues and networks. Click here to join over 36,000 CDC Emergency Partners Newsletter subscribers! Summer's Heating Up - Are You Ready? Heat-related deaths and illness are preventable, yet annually many people succumb to extreme heat. Know the signs of heat-related illness and what to do when you notice them. For more information, see CDC's Extreme Heat website. This training was designed especially for coaches, school nurses, parents, and others who train or provide athletic training in the heat. CDC's Extreme Heat Media Toolkit offers logos, Web banners, posters, and more to help media, public health professionals, and others share information about how to stay safe during extreme heat events. Summertime is a great time to make sure your family is ready for any kind of disaster. 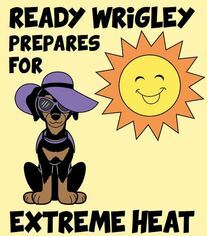 Kids can help Wrigley get her family ready to stay safe during extreme heat. 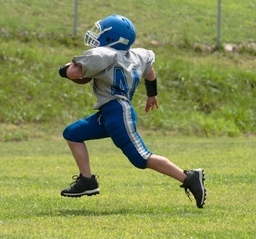 Find helpful tips to help children and adults avoid heat-related illnesses too! CDC released the latest Key Messages for Zika on June 21, 2016. To access these Key Messages, click here for English and here for Spanish. To address the communication concerns and needs of state, local, and territorial health communicators, as well as partner organizations, about Zika virus disease (Zika), CDC is hosting a series of Crisis and Emergency Risk Communication (CERC) teleconferences related to Zika issues. These teleconferences will be held on a weekly basis from 1-2 pm (Eastern Time). Each week, a new CERC topic will be presented as it relates to Zika. Presentation slides for this teleconference will be available on our website: https://emergency.cdc.gov/cerc/zika-teleconferences.asp. Please feel free to forward this announcement to your partners. Topic: Say Goodbye to Mosquitoes at Home! Control mosquitoes outside and inside your home. Learn more about controlling mosquitoes. Put CDC content on Zika on your website that will update automatically! 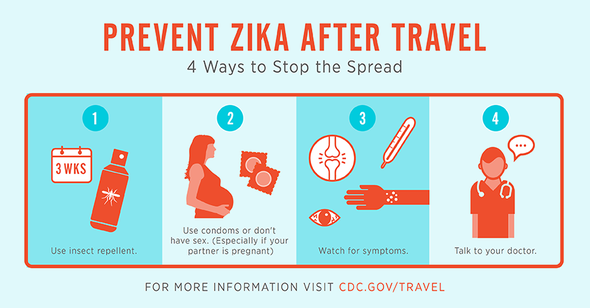 This microsite offers an easy way to share information and stay up to date with developments in the current Zika virus outbreak, including prevention, symptoms, treatment, and information for pregnant women and travelers. This microsite is also available in Spanish. Please contact IMTech@cdc.gov for technical support. New CDC Health Guidelines for US Citizens and Residents Living in Areas with Ongoing Zika Virus Transmission. 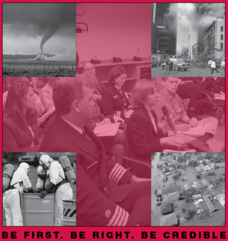 Crisis and Emergency Risk Communication (CERC) principles should be considered in all crisis communication plans…but what do they look like in a real emergency? CERC @ Work offers a glimpse of how these principles are put into practice. In recent years we have seen long-duration public health emergency responses. CDC’s Joint Information Center has been operating in response mode for over 775 consecutive days since its activation of the Ebola response from July 9, 2014 – March 31, 2016 and its overlapping response to Zika starting on January 22, 2016. Many public information officers, emergency officials, and other emergency responders have also been actively responding to these threats for long stretches, as well as the many other threats that face their jurisdictions. The nature of the Zika virus’s transmission and health effects indicate the need to actively counter the disease spread and its health impact for several months to come. Mosquito season is just beginning and birth outcomes would not be seen for at least 9 months to follow. There is a lot we still don’t know about Zika and some of the research could take years. It is the responsibility of health communicators to inform the public and partners such as clinicians and vector control specialists, of all scientific findings as they happen. Working in an emergency response where every minute and every word is critical, can be stressful and taxing. Working with this momentum and pressure for a long time can lead to responder fatigue and mistakes. It’s important to take steps to prevent, recognize, and address burnout in yourself and in your peers in order to maintain high quality effective emergency and risk communication. Secondary traumatic stress- stress reactions from exposure to another person’s traumatic event. Feeling exhausted, irritable, depressed, or overwhelmed. Feeling like a failure or feeling guilty that you are unable to “do enough” or to help. Believing you are the only one who can do your job and not allowing others to share your work burden. Set up shifts and limit individual working hours. The news cycle is 24 hours but no human can or should be expected to work 24 hours. Remind yourself and your team that it is not selfish to take breaks. Work together to designate tasks and rolls and to share the workload. Maintain health sleep, eating, and exercise habits. Know when to set boundaries and say “no” to an assignment when you feel you may be too fatigued or not the appropriate person to carry out the task. Always offer to find someone else who can complete the action instead. Taking care of yourself will help you take care of others and do your job. It is not selfish and it will strengthen your agency’s capabilities to stay ahead of emerging events and communicate effectively throughout a long term response. The risk communication needs may change over time but the public expects and deserves the same quality of communication throughout. For more resources and information on CERC, please see Crisis and Emergency Risk Communication, 2014 Edition or Crisis and Emergency Risk Communication Pandemic Influenza, 2007. Click here to subscribe to CDC Emergency Partners!